Taking care of parents and/or children is an important feature of ZibdyHealth. 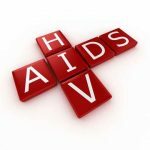 A number of features in ZibdyHealth are designed specifically to assist with this. First is the concept of associations. These are normally family members, but can also be friends, doctors and care givers. Associations can be set up as sub accounts or as linked independent accounts. When independent accounts are linked, permissions must be set to allow them to be managed by other users. Using this model, caregiving can be carried out and even shared. 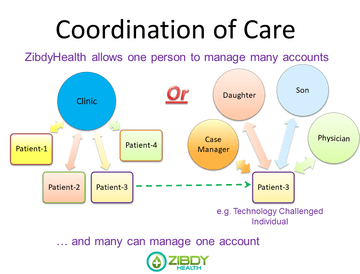 ZibdyHealth is simple yet powerful enough for professional caregiver such as independent or assisted living facilities. A caregiver can open and manage health and wellness accounts of as many seniors as they wish. They can do this as sub-accounts or independent primary accounts linked back to the caregiver’s account with appropriate permissions. They can monitor and manage medication lists, drug-drug interactions, allergies, vitals, doctor and insurance information and more for all the seniors in their care at a single place. 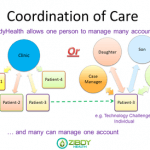 To make it efficient for caregiver and families of the seniors, ZibdyHealth allows caregivers to link each senior’s health and wellness information to their family members by linking accounts. This way each senior in a caregiver’s circle is linked back individually to their families. The families with appropriate permission will then be able to see all the information remotely without ever calling the caregiver. The relatives of one senior cannot see the accounts of anyone other than their own relative in the caregiver’s network. Henry is a 75 year old man who has recently had open heart surgery – a triple bypass. His wife, Mary (74) is also of failing health – she had a stroke last year, and cannot care for Henry. On his release from hospital, his children Bob and Jenny want to take care of him, though they do not live with him. He gets an account set up on ZibdyHealth, as do Bob and Jenny, and they invite one another to join the family network. They also invite Henry’s doctor at the hospital. Henry gives Bob, Jenny and his doctor permission to view, add and update his medications, vitals and so on. Bob and Jenny give one another permissions to view their information as well, though not alter or add at this time. They do not give Henry’s doctor any permission to their accounts. Henry’s doctor does not give any permission to anyone, so he can see Henry’s account information, but not Bob or Jenny’s. Bob and Jenny can also set up an account for Mary, and record her information there. They can share Mary’s account with her caregiver. This sharing allows Bob and Jenny to be aware of their parent’s situation, as well as for Henry’s doctor– for example, Henry’s doctor can see the latest Blood Pressure information recorded in his vitals’ taken by Bob or the caregiver for his father. Henry’s care giver can record information in Henry’s account – for example notes saying he seems to be well on a particular day, or speaking very slowly on another. When Jenny decides to buy some OTC medication for her parents, she can check for Drug-Drug interactions with the medications her parents are taking at the time of purchasing them. Notes, Vitals and Medical history are all visible to Bob, Jenny and all the caregivers in the network, who can check Henry’s account regularly. Neither Bob nor Jenny needs to be close by their parents in order to maintain this information.